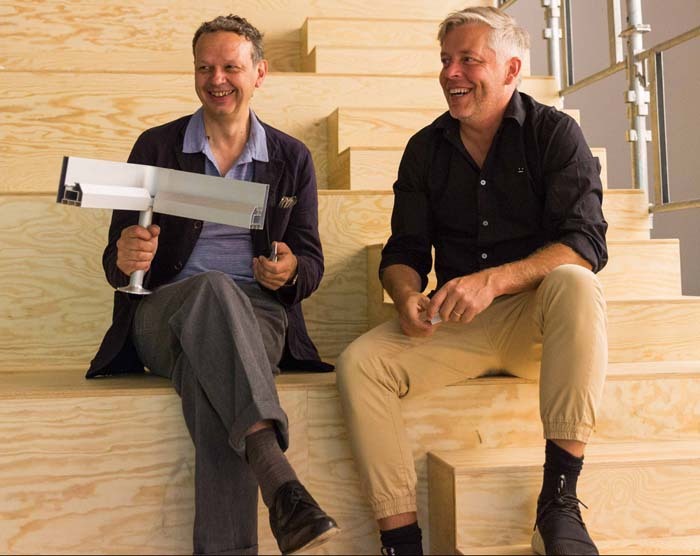 Tom Dixon and IKEA's Marcus Engman (Head of Design for IKEA). Ikea announced today at their Democratic Design Day in Almhult, Sweden that they will be collaborating with HAY design (September 2017) and Tom Dixon in the spring of 2018. Hay Design's collection comprises furniture, lighting, accessories and textile designs, made by IKEA using advanced manufacturing techniques. HAY has also taken the iconic blue IKEA shopping bag and gave it a new colour and pattern. The IKEA + Tom Dixon co-lab is pretty exciting also. They've created sit/sleep platforms that are made to be hacked! It will be exciting to see what ideas will be created out of this. The only thing we know at this point is that there is an alluminum base that will be easily interchangeable, creating both a sofa and a bed. More info on this collaboration and what else is coming down the pipe at IKEA visit ikea.today.